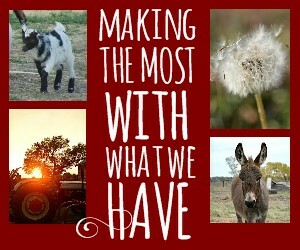 Welcome to our series here on Little House Living, “Making the Most With What We Have”! This series will showcase individuals and families all over the US (and even outside the US!) that are making the most of what they have. We know that you can be a modern homesteader without 160 acres of land and a mule so this series will share the stories of these families so we can get a peek into their lives and learn from each other. We live in a small town on the outskirts of Austin, Texas. We moved from a huge house in a very nice neighborhood to a simple house on just over 5 acres of land in the country. We made the move about 4 months ago and it has been the easiest adjustment (for the whole family) that we have ever made. It’s calming and peaceful. We are overwhelmed with joy with all the colorful birds we see out our front window every day. We almost never close the blinds or curtains because of the beauty that surrounds us. After only a month of living here, we started with a few hens and they are already laying eggs! I love the lessons our children are learning by caring for animals on a daily basis. These hens have quite a personality too. You might say we spoil them often. We adore them so much that we just adopted 4 baby chicks. What Are Your Dreams and Goals for Your Homesteading Journey? My dream, and soon to be reality, is to have a huge garden on our property. 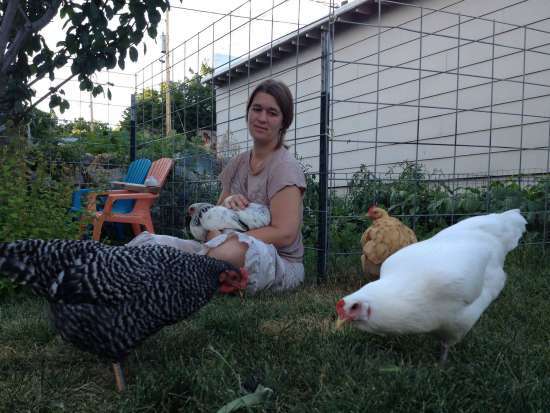 I would love to be able to provide food for our family that we grow in our own backyard. I want a number of fruit trees too. Now that we live on our own unrestricted property, I would love to attempt to make a cob house. This is a earthen structure that is made of sand, clay and straw. I’m not certain how this type of house will do in Texas, but I’m willing to try it. Keeping up with the animals, and land is a process but I think it’s better to be out living life in this simple manner. I don’t want my kids growing up behind a computer screen all the time. I want them out in nature and enjoying it. 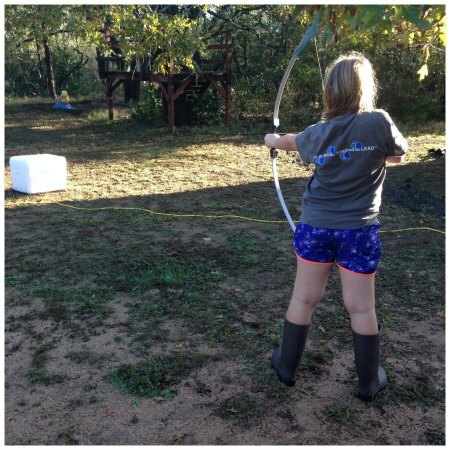 Our youngest has gladly taken up archery. She does it daily. That’s a big change from before. She used to be on her computer daily. How Are You Making the Most With What You Have? We make the most of what we have by cooking at home. We try really hard to use what’s in the pantry before making another trip to the grocery store. Everyday I learn something new. Living in the country is peaceful for the most part, but it can be a bit scary at times too. We have installed cameras around the home and a driveway alarm too. Security is important. We are in the process of learning about the predators our chickens have and the best way to protect them. We have noticed foxes and coyotes that come around. Our hens are trained to retreat to their coop every night, but these predators come during the day too. It’s a learning process, but we are definitely protecting our ladies. We are also in the process of learning about canning. This will be important when we get our huge garden up and running. We have also learned there’s much more to life than living in a giant house and working day in and day out just to keep up with the big mortgage payment. It won’t be long before we are completely debt free as we live our frugal lifestyle. We are extremely happy! 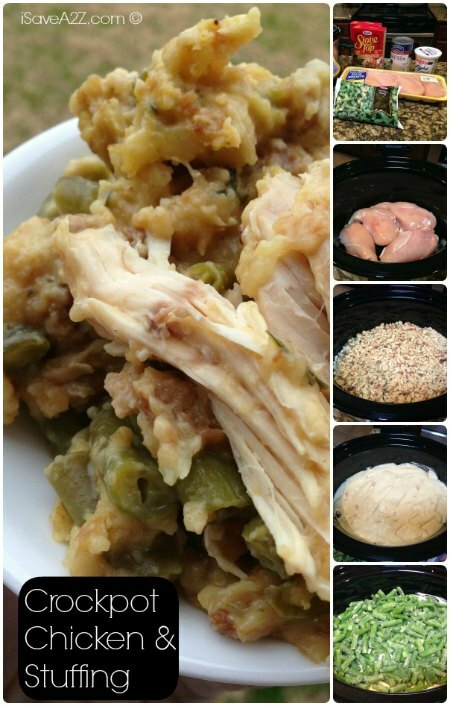 One of my favorite recipes is our Crockpot Chicken and Stuffing recipe. It reminds me of Thanksgiving. We make it often. It’s a perfect recipe to use when you have been outside working all day. You can come into a meal that is fully prepared and ready to eat. One unique tip that has helped me is learning to sell items I found at garage sales on Craigslist for profit and extra income. I’ve written a few articles on the subject because there are so many of my friends that have been without jobs during some point in their life and needed extra income fast. It’s the best way to turn $10 into $100 quick. I don’t think I could live without my sawzall. I use it often to clear brush around the property. Want to be a part of the Making the Most With What We Have Series? You can read about it and fill out the interview questions here. Growing up in a small house on acreage, I am all for “making memories” for our children. My favorite childhood memories are of raising chickens, gardening with my mom, and learning how to cook! I want to wish the Garza family all the luck in the world in their new home. I too live just out side of Austin TX. (in Round Rock) and understand why they would want to get out of Austin and have some property of their own to grow a garden and have a few chickens etc. Sometimes homeowner restrictions can be just terrible. What kind of driveway alarm did y’all go with? I’m looking into one but there’s a lot of choices.